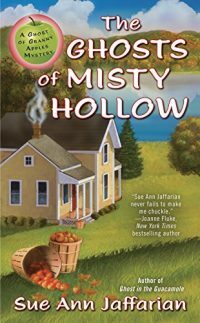 Emma Whitecastle, a very talented medium, and her fiancé Phil, have traveled to Misty Hollow in Massachusetts to visit Gino Costello, a crime writer who is working on his latest book. Gino is a friend of Emma’s and is having some problems with various paranormal scenes in his latest creation, so he’s asked Emma for her help. As they get to the old farmhouse where Gino is staying, Emma notices a porch filled with ghosts. This particular property was once owned by the Brown family who dealt with many disasters. When Emma is contacted by the Browns, she is asked to help them locate the spirits of their children who have disappeared. At first, only one is able to appear, a young man named Blaine who died on the property while repairing the roof on the family’s barn. Blaine has no idea what happened to his brother and sister who went missing when they were very young, but he, too, wants puzzles solved so that he and other members of his already deceased family can bring closure and finally cross over to the other side. Gino has more problems than just ghosts. His wife, Vanessa, leaves after they have an argument, which has been happening more and more, and Gino’s assistant, LeRoy, is also among the missing. To top it all off, Gino finds out that a soon-to-be published book has been copied from a book of his that had, up until now, remained unpublished. For first time readers to this series, you’ll meet the character, Granny Apples, who is a very lively ghost that takes no prisoners when she talks with Emma. This is one cozy series where every single character is guaranteed to entertain and the mystery never lets you down. 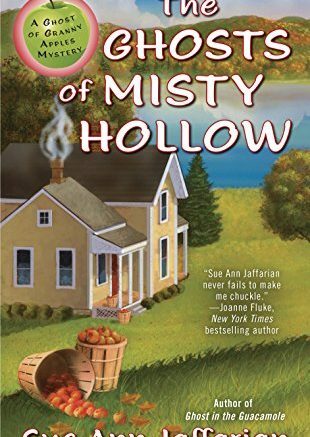 Be the first to comment on "“The Ghosts of Misty Hollow” by Sue Ann Jaffarian"